Brioche is hot hot hot right now, and we don't want you missing out on this trend! 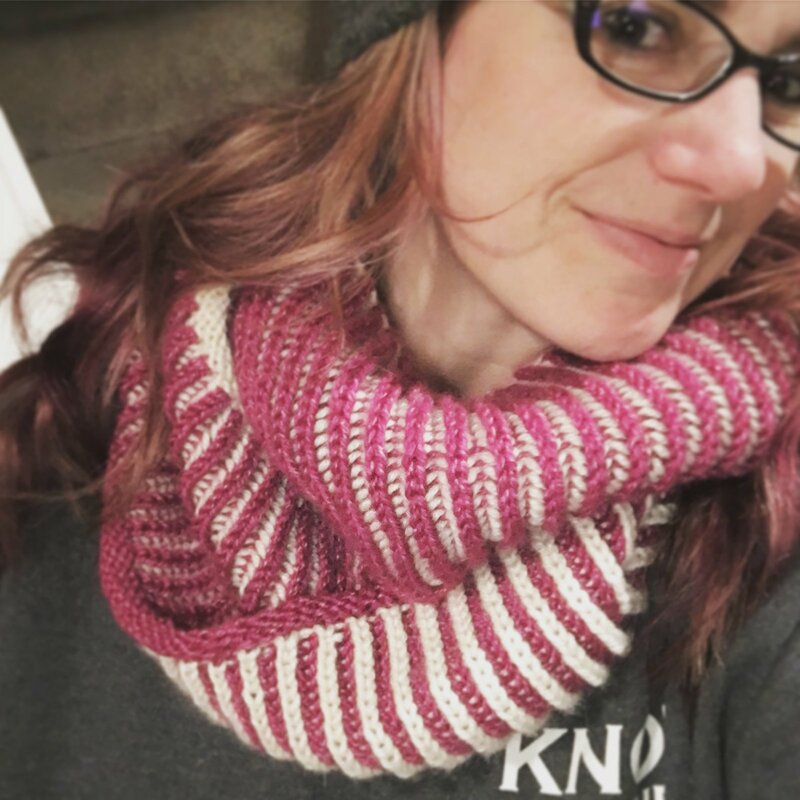 In this class you will learn the most basic brioche stitches, all while working a beautiful two color cowl. Requirements: Must be comfortable following a knit pattern and knitting in the round on circular needles.